YouTube channel How To Mechatronics has created a great tutorial with full instructions on how to create your very own Arduino powered 3D wire bending machine. 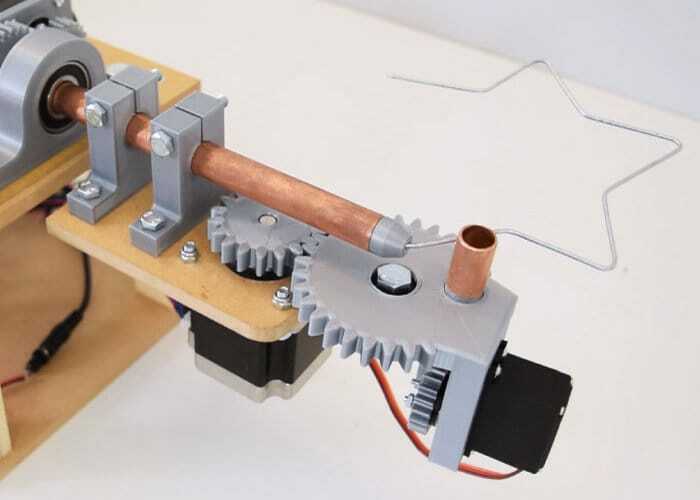 Created using 3D printer parts a handful of stepper motors and an Arduino Nano development board the wire bending machine can be programmed to create a wide variety of different shapes and angles. For full instructions, code and more details jump over to the official How To Mechatronics project page by following the link below.